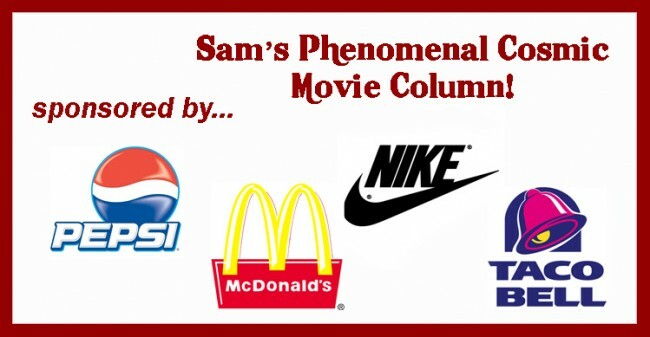 Home » Sam's Cosmic Movie Column » Product Placement! Movies are expensive. And sometimes movie executives sell a little piece of their souls to advertising giants in order to make ends meet. And SOMETIMES they blatantly gear their films toward those advertising giants for the sole purpose of raking in the dollar bills from the get-go. We know all of the obvious examples already. Head and Shoulders shampoo saves the day at the end of “Evolution.” In the future every restaurant turns into a Taco Bell in “Demolition Man.” E.T. loves Reese’s Pieces, Iron Man craves nothing more than a Whopper. James Bond has been doing it for decades, from the Aston Martin to the Omega watch, to the Sony-filled “Casino Royale.” In 1947 Macy’s Department Store practically glowed with Christmas cheer in “Miracle on 34th Street.” So this isn’t a new, shameful practice by greedy modern executives who have sold out the honorable history of film-making. And it works! It really works. Ray-Ban sunglasses supposedly tripled their sales after “Men In Black.” The original Transformers show was created to promote the toy line (I won’t even get into the additional advertising throughout the movies), and those toys have been going strong for decades now. Hell, it even works in television: “Seinfeld” bizarrely helped revitalize the sponge birth control method when Elaine went crazy over their discontinuation. Rather than rail against the money-making machine, I’m going to contribute to it. After all, it isn’t always cringe-worthy. I still love Marty McFly, even when he wears self-tying Nikes. I love Hellboy despite his fixation on Baby Ruth bars. And I don’t care which toys in “Toy Story” came from Hasbro or Mattel. 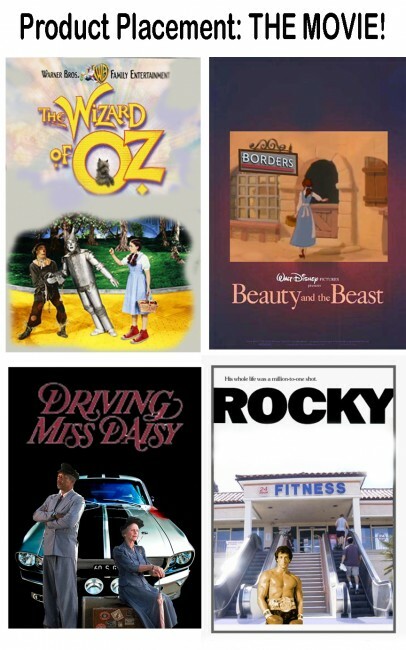 Which makes me think… what other great or pivotal films would benefit from a little sprucing up by modern merchandising machines? Other options included: Gollum purchasing the One Ring at Kay’s Jewelers. A Craftsman brand “Saw.” Smith and Wesson changing Clemenza’s advice to “Leave the cannoli, TAKE THE GUN!” And Benjamin Button getting an Omega watch for his birthday. So, my faithful readers, any other suggestions?